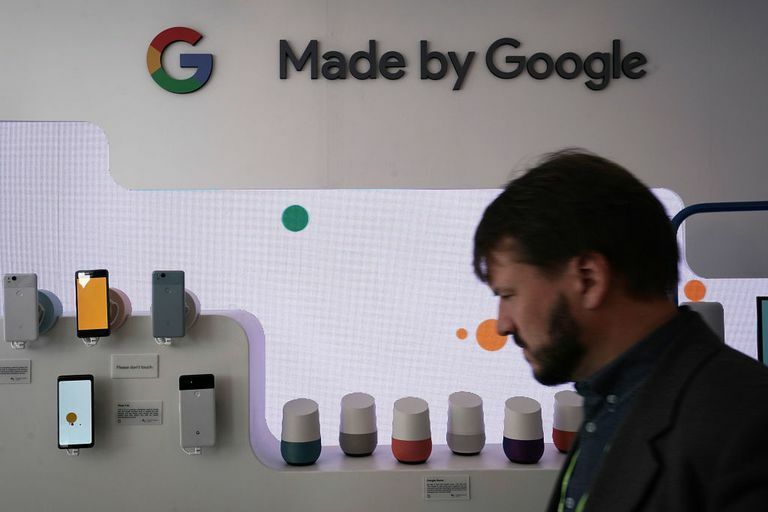 Google is constantly expanding the language capabilities of its Google Assistant and Google Home products, and users can now set their Google Home to respond to two languages. Adding a second language to a Google Home device is simple and can be done from the Google Home app on a smartphone or tablet. Read on to learn how to make your Google Home bilingual. Open the Google Home app on your smartphone or tablet, be it Android or iOS. Tap the three-horizontal lines menu icon at the top left corner of the screen. Go to More settings > Preferences > Assistant languages. Tap Add a language, located underneath the already set language. Say “OK, Google” to your Google Home device in the primary set language. From here users should be able to speak to their Google Home in either of the set languages. Once two languages are set through the Google Home app, any Google Home devices connected to the app will respond to the languages. Users must speak to their Google Home in either of the two set languages. Google Home won't understand a mix of the languages. The primary language setting includes many more options, such as different dialects of English, French, German, and Spanish. Users should look at the primary language option to make sure they're selecting the best option for a widely spoken language. English dialects include the U.S., U.K., Canada, Australia, India, and Singapore. French dialects include France and Canada. Spanish dialects include Spain, Mexico, and the U.S. German dialects include Germany and Austria. In Assistant languages, the primary language set will be listed first. Select your desired language or dialect. Users setting up a Google Home device for the first time can only set the primary language. If the smartphone or tablet is set to a language compatible with Google Home the smart speaker will set that language as the default language. If the smartphone or tablet is not set to a language compatible with Google Home, the set up will prompt users to select a compatible language. Once the Google Home is set up, users can then use the instructions above to add a second language. Users can use Google Assistant on their smartphone or tablet without having a Google Home device. Google Assistant is available for both Android and iOS smartphones and tablets. Having the languages you want to use on Google Home match the language settings on your smartphone or tablet makes setting up and using Google Home devices and Google Assistant much easier. Access the Settings from the drop-down menu. Scroll down to the Systems section. Tap Languages & Input, then tap Languages. If there's only one language set, tap Add a language and choose your desired language, making sure to choose one compatible with Google Assistant and Google Home. To change the second language to the primary language, long press the second language and move it to the first place position. If there's only one language set, tap Other languages and choose your desired language. Tap Keep [language] to maintain the primary iPhone Language or tap Change to [language] to change the primary language. To change the second language to the primary language later, select Edit then long press the three stripes next to the second language and move it to the first language position. To change the primary language before adding a new language, tap iPhone Language, tap your desired language, then tap Done. In the Google Home app settings, tap Assistant languages. Tap the second language option, then tap None. In the Android Languages settings, select the three-dot option at the top right corner of the screen, then tap Remove. Choose the language you wish to remove and tap the trash can icon in the top right corner of the screen. Tap OK to confirm. In the iPhone/iPad Language & Region settings, tap Edit at the top right corner of the screen. Tap the red remove icon next to the language you wish to remove, then tap Delete. Tap Done, then tap Continue to confirm. Can't Change Google Assistant's Voice?